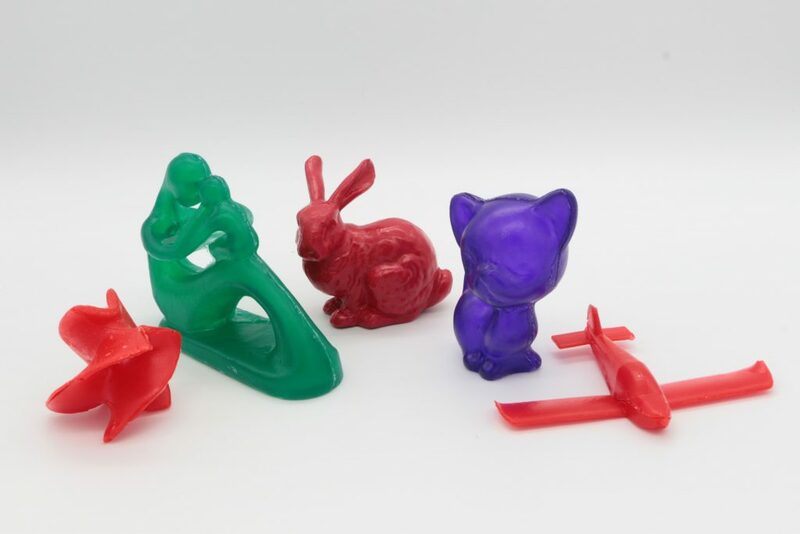 Most of the plastic objects we see are created using injection molding, but designing such molds is a difficult task, usually requiring experts. Now, computer scientists from the Institute of Science and Technology Austria (IST Austria), the University of Tokyo, and CONICET have created an interactive design tool that allows non-experts to create molds for an object of their choice. The software will be presented at this year’s prestigious SIGGRAPH conference, one of IST Austria’s five successful submissions. Molding is a popular method for the mass production of objects. Essentially, two (or more) mold pieces are fit together, leaving the shape of the desired object as a hole. During fabrication, a fluid is introduced into this cavity and is allowed to harden. Once the fluid has solidified, the pieces of the mold are removed, leaving behind the molded object. While the process is fairly simple, creating the mold to produce an object is extremely difficult, and a multitude of considerations go into its creation. How should the object be oriented and divided to ensure that the pieces of the mold can be removed? If the object should be hollow, how should it be decomposed into pieces? Figures with loops or holes add further complications, as do aesthetic considerations, such as avoiding a parting line through a face. In mass fabrication, the high costs of the initial mold design are offset by the low per-unit cost of production. For a small-scale designer, however, or a novice interested in experimenting with injection molds, hiring a professional mold designer is impractical, and creating the molds unaided infeasible. Similarly, 3D-printing the desired number of objects would be far too time- and resource-intensive. CoreCavity, a new interactive design tool, solves this problem, and allows users to quickly and easily design molds for creating hollow, free-form objects. Created by Kazutaka Nakashima, a PhD student from the University of Tokyo visiting IST Austria, Thomas Auzinger (IST Austria), Emmanuel Iarussi (CONICET, IST Austria), Ran Zhang (IST Austria), Takeo Igarashi (University of Tokyo), and Bernd Bickel (IST Austria), this software tool opens up opportunities for small businesses and enthusiasts. Given a 3D-scan of an object, the software analyzes the object, and creates a “thin shell”, essentially a hollow version of the object, where particularly small gaps are considered solid—another of the team’s innovations. The software then proposes a decomposition of the object into pieces; each piece will be created by one mold, then joined together at the end. Moreover, the program is able to suggest slight modifications to the original design, for instance to eliminate tiny hooks that might complicate unmolding. “Previous tools were unable to suggest such changes,” says Thomas Auzinger, a postdoc at IST Austria. The user can adjust the decomposition simply by clicking, and choose to accept or reject any proposed modifications. When the user is satisfied, the software automatically produces the mold templates, which can then be 3D-printed and used for molding. The decompositions suggested by the design tool are often surprising: “The computer is able to find solutions that are very unintuitive,” says Bernd Bickel, professor at IST Austria. “The two halves of the rabbit, for instance, have a curving, complicated connection—it would have been extremely difficult for a human to come up with that.” Industry designers, as well as previous design programs, generally rely on straight cuts through the object. In practice, this often leads to a larger number of pieces, as well as “unnatural” divisions. “The software tool could also be extremely useful in industry—it would fit seamlessly into the production process,” adds Bickel. The team has already tested some of their molds at an injection-mold factory near Linz. “The factory employees were surprised at how easy it was to extract the finished objects, as well as how durable the 3D-printed molds were. Even after creating a hundred objects, the molds were still working,” says Auzinger. The team already has further improvements in mind. One idea is the inclusion of connectors that snap together to ease the final assembly of the object.